I wonder how many women would admit along with me to stealing our husband's socks--they always seem to be so comfortable!! Except John's foot size is several times larger than mine so the cuff of his sock rises to my calf instead of a few inches above my ankle. 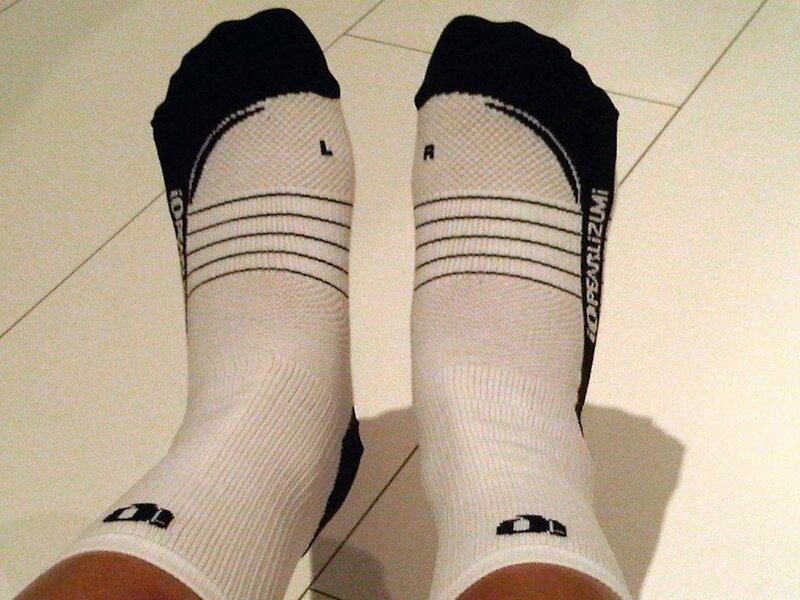 I finally picked up several pairs of my own of the ELITE Tall Sock. They are left and right foot specific with ventilation channels and mesh over the foot. I especially like the compression band along the foot arch. My Flintstone feet make for the worst model but I had to show you! No longer will I hear him say, "Those socks look absolutely ridiculous" now that the cuff height is just right for my size! "Flintstones, meet the Flintstones" LOL!!! I love your little feet, even if they resemble Fred's feet!! !